These Board of Trade minutes cover eight days of meetings, beginning on May 5, 1936, and include an index. 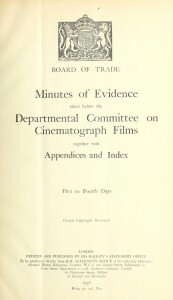 The purpose of the meetings was to develop an approach for dealing with the expiration of the 1927 Cinematograph Films Act and create measures for the production, renting, and exhibition of British films. 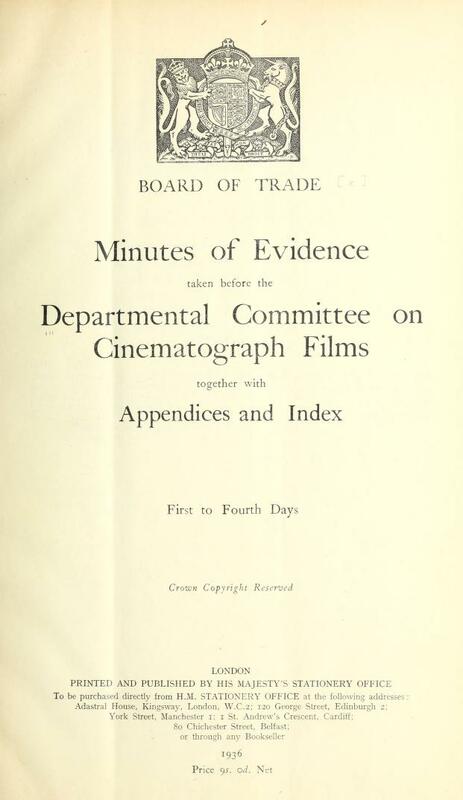 Minutes of evidence taken before the Departmental Committee on Cinematograph Films (1936) H.M.S.O.